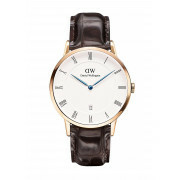 This elegant Dapper St Mawes watch from the Daniel Wellington Collection combines simplicity and elegance, ensuring your look is sleek and effortlessly pulled together. 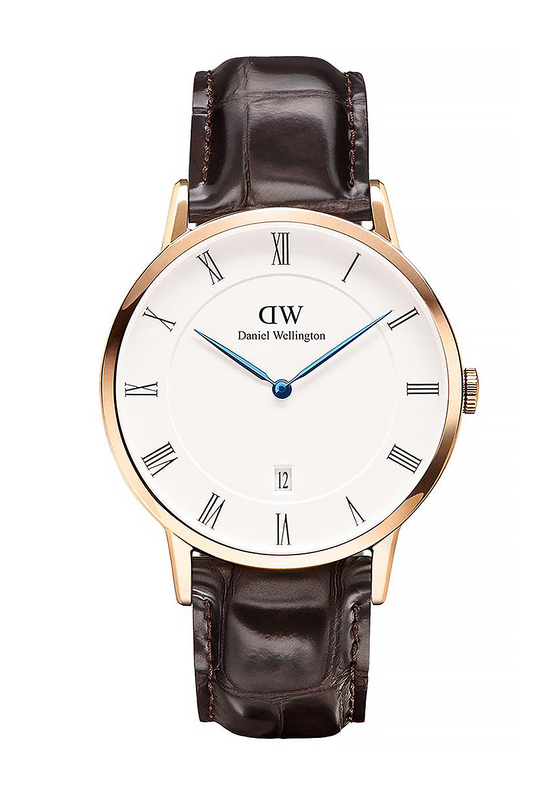 The white face on this watch is enriched with deep blue hands, rose gold casing with black Roman numerals and a date display. The genuine leather brown strap is interchangeable with other straps from the collection.